Angel Card Readings work! This is exactly why they are becoming an increasingly popular way to tune into guidance from the angels. In case you're totally new to the topic, Angel Cards are essentially Oracle Cards. 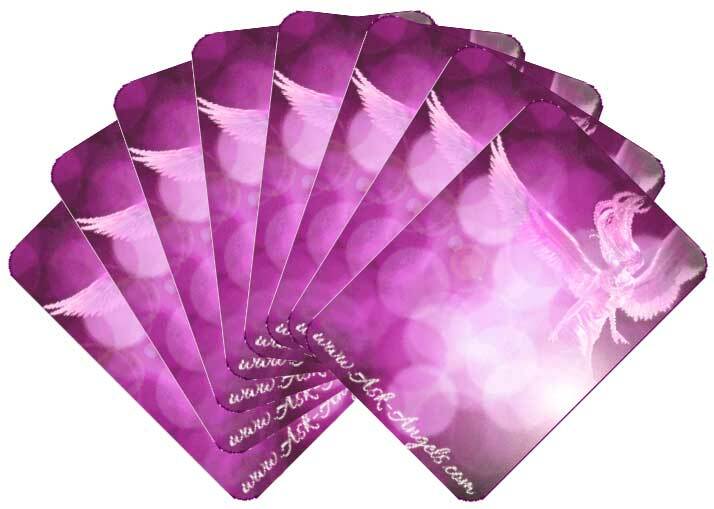 They feature messages from the angels, and or use angelic images on the cards so you can get Divine guidance, and connect with your angels in a real and powerful way. 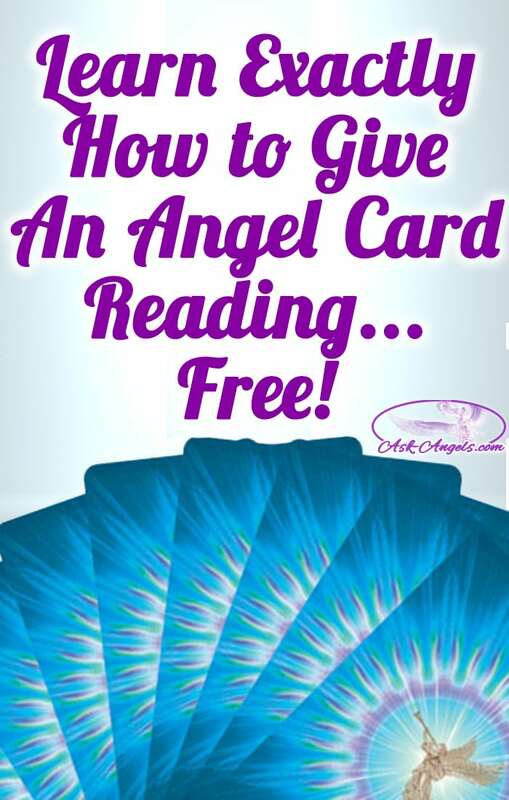 By learning to read Angel Cards, you empower yourself to tune into real and accurate angelic guidance in your life whenever you want or need it. 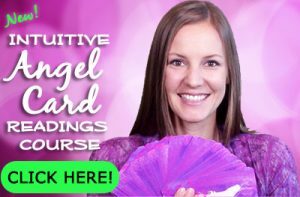 To learn the secret to developing your intuition through angel cards, click here and watch this video, now! But with this definitive guide to Angel Card Readings, you’ll soon be tuning into the guidance of your angels through Angel Cards like a pro! Guide to Angel Card Readings! Below you will find everything you need to know to start completing Angel Card Readings for yourself and others. You can click the chapter titles below to access each of the chapters in this detailed guide, or just keep scrolling down to continue reading! Remember, with a willingness to connect, and an openness to receive the angels’ messages, you too can learn to tune into guidance from the angelic realm through Angel Cards! The good news is cleansing your Angel Oracle Cards is simple! There are actually many different ways of effectively cleansing Angel Cards, and so the “best way” is the way that feels right and works for you. Whether it’s simply working with the angels to fill your Angel Card Readings with love, shuffling light into your cards, using sage, moonlight, or even crystals… There are many ways that get the job of cleansing done right. The important thing here is that you do cleanse the energy of your Angel Cards when you first get them, after someone else has touched them, and really, whenever you are guided and inspired to do so. Psychic Protection is an important part of consistently having a positive experience while working with Angel Cards. This is not because the Angel Cards draw any sort of negative energy to you, but rather when you consciously choose to focus in the spiritual realms, you could inadvertently attract a negative type energy. Of course, keeping yourself surrounded with love and light, in a state of high vibration, and connected to your angels is really all the Psychic Protection you need. But if you’re new to all of this, or you’re feeling a bit off after working with your Angel Cards I highly recommend brushing up on Psychic Protection to ensure you’re surrounded with love and light so that both you and your readings remain high vibrational through the process. The good news is practicing Psychic Protection just may be easier than you think! When you start shopping around for your Angel Cards, you will quickly notice there are tons of options to choose from. I recommend asking your angels for assistance in choosing the right deck for you, and then paying attention to the guidance you receive. The secret to choosing the right deck for you is to listen to your intuition! It is important to find cards that you resonate with and feel connected to, so take your time choosing. Many local metaphysical shops will have open decks that you can flip through to get a feel for the energy and imagery present on the cards. You can also read through reviews on Amazon, or on a site like Aeclectic Tarot that offers reviews of Angel Card Decks complete with sample images of the cards. Angel Card Reading Apps are another option, and there are many apps available where you can get a free trial to try the cards out, see the imagery, and see if you resonate. Alternatively, Some Angel Card Apps allow you to download the entire deck in a digital form for a discounted price. My biggest advice is to trust that you’re guided by the angels always! And so don’t wait to listen for their guidance once you have your angel cards… Ask for their help in choosing the right deck of Angel Cards for you too. Let finding your Angel Cards be a fun adventure and listen to your inner guidance as you sort through the options to find the right Angel Cards for you! Here are the basic steps of completing an Angel Card Reading for yourself, or for others. F irst, cleanse the energy of your Angel Cards, and make you’re protected psychically. As you learned above, invoking angels, and calling in white light is a wonderful way to accomplish this! Essentially, you set your intention for the reading, call in your angels and then ask a question. While holding the question in your mind, shuffle the cards back and forth in your hands, and then draw an angel card or multiple cards. You can’t choose wrong here… Follow your heart and intuition and the cards you draw will help you tune into your own intuitive guidance as well as insight from your angels in response to your question. Once you’ve noticed your initial intuitive impressions regarding the card you’ve drawn, you can read in your guidebook to decipher the additional meaning. Remember, the real power in Angel Card Readings comes from within you directly from the angels, not from the actual cards or guidebook. These are just tools to help you directly tune into messages from your angels. You have many different Card Reading Spreads to choose from for your readings. Card Spreads just refer to the number of cards you draw and how you lay them out on the table before you combined with the intention you set for the reading, and the question you ask before drawing the cards. My advice with card reading spreads is to start off simple, and work your way up to drawing more cards and trying out more elaborate spreads or making your own. The main difference between Tarot Cards, and Angel Oracle Cards is that accurately reading Tarot Cards requires you to memorize the Tarot Card meanings, and the connections between cards. In other words, the Tarot has a very specific system that is key to reading the cards. When you learn the system, you then have a key to deciphering the meaning of the reading based on the cards that appear. While Angel Oracle Cards are more free form than the Tarot, there is a valuable lesson you can learn from the Tarot system. That lesson is to get to know your deck! Become familiar with your Angel Cards. Study and learn what cards are in your deck, read the corresponding guidebook, listen to your intuition, ask your angels for help, and really learn the associated meanings for each card. The more you use your cards, play with them, read your guidebook, and meditate on the meanings, the clearer your readings will become. Again, the true power in Angel Card Readings is direct communication with your angels, and when you understand the meaning of the cards that appear without needing to look them up in your guidebook, you create a beautiful space for the direct messages from the angels to shine through. The angels can then use the cards to get your attention, to focus you in a general area, and then provide more specific and meaningful guidance. The results of getting to know your deck and learning the “system” of your angel cards are well worth the effort. Whether you’re a professional Angel Card Reader or a complete beginner, Angel Cards remain are a powerful way to access guidance from Spirit. There are however some common mistakes people make with Angel Cards, that lend to greater confusion due to inaccurate and misleading readings. Most mistakes when reading Angel Cards revolve around losing your objective focus, and shifting into looking for a certain answer, and bending the messages the cards are showing to validate your desire. Angel Card Readings are a means of getting guidance from the Divine and angels, so its natural to want to use them when big challenges, and heart breaking situations pop up in your life. When you're upset or highly emotional however, you're much more likely to get inaccuate or misleading results from your angel card reading. If you’re angry, vengeful, or frantic, your vibration drops and clear accurate guidance from the angels becomes much more challenging if not impossible to receive. The key for accurate readings then, is to keep calm, centered, and focused during your reading. Being open to whatever the answer may be is also key, rather than trying to force the cards to validate something for you. So if there has been some life-shaking event in your life, and you're still highly emotional about it… Take some time to breathe, meditate, and center before reaching for your cards for guidance. The biggest difference in taking your readings to the next level involves remaining open and objective during readings, as well as increasing your direct connection with the angels. A truly accurate Angel Card Reading goes far beyond what is written on the cards or even in the guidebook, the true power comes from within you and from your connection with the angels. For highly accurate and powerful Angel Card Readings, the guidance you will be tuning into comes direct from your intuition and from your angels. This allows you to see your current situation from a broader perspective, gain a deeper understanding about the past, catch a glimpse into what is possible in your future and even more. The cards and guidebook will give you a broad meaning in response to your question. It is then with you intuition and through your subtle intuitive impression that you’re able to receive further guidance in response to your questions. Check out the New Video Intuitive Angel Card Readings Course here! Free Angel Card Readings are a fun and powerful way to start putting to use what you’ve just learned, in a way that is completely free! There are many Free Angel Card Readings available that will let you draw a card now so you can begin using angel cards to tune into your angel's guidance directly! To save you time and energy looking for the best Free Angel Card Readings online, we've compiled a list for you! If you loved the guide… Pass it on by sharing! Have a blog, website or community you’d like to share The Ultimate Guide to Angel Readings with? Or if you have an amazing Angel Card Reading resource you think should be included in this ultimate guide… Comment with the details below! we are truly blessed to have beautiful people like you around. Melanie, I want to truly thank you for all the free information you have shared. I have a very tight budget so anything that is worthy of your time is so very greatly appreciated. I have been following for a short time but it has been time well spent for me. Because I found you and your site I have started my Ascension, been hanging with my Angels, finding my souls true purpose and learning to fly … all thanks to your guidance. The Angels sure have away with getting you to where you need to be. Thank you! Thank you! Thank you so much for your comment Teri! I am honored and thrilled to know I have been able to help you on your path. With love and gratitude. Very Simple Yet very Valuable Tips For getting Connected with the Angels for Angel ? Card ? Readings! Love ❤ U Loads Melanie For Your Loving Guidance! It is so refreshing to see someone who’s income is based on spirituality provide valuable information free to those following a spiritual path. I believe the more people who have wisdom & knowledge in the spiritual & healing realms were willing to provide some free aspects of their wealth of experience the more collective followers would join the ever increasing quest for more in our daily lives than we currently witness on tv’s or newspapers etc! I am forever grateful to all of your wisdom & knowledge free or otherwise – listening to your wonderful meditations & reading information is beautiful &a likewise is your soul/spirit. Much love & gratitude to the universe for sharing such an angelic soul – your whole purpose here could not have been more correctly aligned than working with angels. Grateful for life and I’ve been as a witness the power off falth. Thank you, Melanie. I’ve been wanting to learn more about how to give angel readings. How wonderful you have given so much information on this topic. I feel so much gratitude. You are such a beautiful person! Hi, thank you for this gift. Was helpful and while I was reading I felt tingling in hands and feet. A beautiful validation of your ability to connect with the angels! Hi Melanie, thanks for all the great stuff you keep sending me , I appreciate it a lot.God bless. Thank you Melanie for all this amazing information!! I love your guided meditations and all your classes. So precious this information. The energy is free why people who have the knowledge want’s to win lot’s of money? We know that people studies this subjects and its necessary time for it. thank you for share this with us. Have a nice year and if its possible share other things. Much gratitude to you for this post! I am gaining real value from it and en-joying the information as well. So happy to hear… I love how you wrote “en-JOYING” too! 🙂 🙂 🙂 With love, light and JOY! I needed this! I got a box of Angel Cards for Xmas and had no idea what to do with them. This message came just in time! Thank you so much! I really enjoy your emails. I always learn so much from them! Thank you for all your insight & information!!! I appreciate all the info;however, I was curious about the electronic cards like your Ask Angels that I’ve purchased and use most frequently. Any advice on those? @Linda … Everything in this guidebook still relates completely to Angel Card Reading apps! For example, when you’re scrolling back and forth on your device imagine light all around you and flowing into the deck. Thank you for your generous gift. Blessings. That was wonderful! I couldn’t have said it better myself and agree 100% with your suggestions.